Scholars devoted to modern literature from Taiwan will be very saddened to learn of the passing of Ko Ch’ing-ming (Ke Qingming) 柯慶明 (March 12, 1946-April 1, 2019). Professor Ko was a voluminous publisher of books of literary scholarship, prose essays, and poetry. 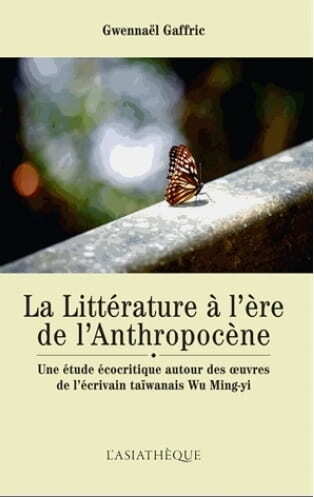 His knowledge spanned the premodern and modern periods and both sides of the Taiwan Strait. For over thirty years, his wide-ranging essays on poetry and aesthetics were a regular feature, especially in journals such as Chung-Wai Literature, Lianhe Wenxue, Shi Tansuo, and other prominent venues. Professor Ko was a beloved teacher and mentor to countless students at National Taiwan University and served in a number of leadership roles, including as Director of the Graduate Institute of Taiwan Literature and the Taiwan University Press as well as a consultant to the government on cultural, literary, and linguistic matters. All of this would be enough for an illustrious career, but Professor Ko will likely be best known for his ebullience, warmth, and supportive attitude in his interactions with all sorts of students, colleagues throughout Taiwan, mainland China, and Hong Kong, and internationally in Japan, North America, and Europe. He was especially talented in public settings where he would offer his unique blend of intellectual acumen, stunning humor, and gentle treatment of others. He was a delight to know and one of a kind. The last couple years he had been encountering health issues and was mainly confined to a wheelchair. Despite this, he was still always bubbling over with enthusiasm, insight, and kind words. Recently, he participated in a ceremony awarding an honorary doctorate to the scholar Pang-yuan Ch’i (Qi Bangyuan 齊邦媛). I was really looking forward to seeing him during a planned visit to Taiwan in September and am sorry that we won’t have that chance. Colleagues can find more details on his life from the Department of Chinese Literature, National Taiwan University, which has posted a lengthy tribute and a bibliography, and most major newspapers in Taiwan. A very large tree has fallen. Rest In Peace, 慶明兄. Taipei, Feb. 27 (CNA) More than 1,000 people who were wrongly convicted during a brutal crackdown following an islandwide anti-government uprising in 1947 were absolved of any crime on Wednesday, according to the Transitional Justice Commission (TJC). Until what date was Hokkien (Taiwanese) banned in schools in Taiwan? I ask because I am writing on the subject for a dissertation. Thank you. Written by Isabel Eliassen and Timothy S. Rich. Image credit: CC by <cleverCl@i®ê>/ Flickr. 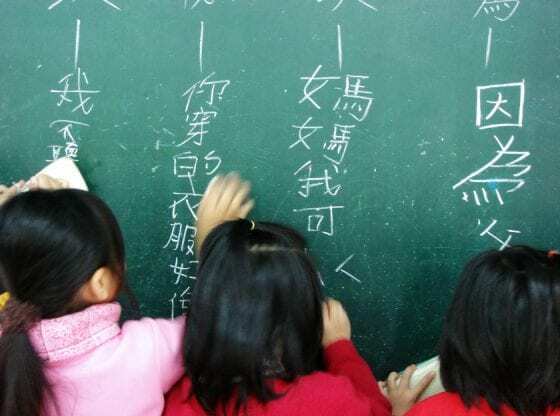 For several months, Taiwanese officials have been drafting plans to make Taiwan into a Mandarin-English bilingual nation. By 2019 the government hopes to have concrete policy goals in place. So far, the policies center around increasing the number of qualified English teachers in Taiwan, utilizing free online resources, and more intensive English classes starting at a younger age. I’m not interested in remnants of the colonial period as much as Chinese Nationalist Party (KMT) efforts after World War II to erase the Japanese imprint. Recently, I was thrilled to learn of a few old houses in the south that bear Republic of China (ROC) embossed flags on their facades — but where the post-1945 paint job is now so faded it’s possible to see Hinomaru (the Japanese flag) emblems that were the original adornments. We the undersigned scholars, former government and military officials, and other friends of Taiwan who have witnessed and admired Taiwan’s transition to democracy for many decades wish to express to the people of Taiwan our sense of urgency to maintain unity and continuity at this critical moment in Taiwan’s history. It is obvious that during the past two years, the People’s Republic of China has left no stone unturned in its attempts to squeeze Taiwan’s international space, threaten it with a buildup of military power and make it appear as if Taiwan’s only future lies in integration with an authoritarian China. BEIJING — China’s president, Xi Jinping, warned Taiwan that unification must be the ultimate goal of any talks over its future and that efforts to assert full independence could be met by armed force, laying out an unyielding position on Wednesday in his first major speech about the contested island democracy. Taipei, Dec. 26 (CNA) A Taiwanese heavy metal band performed for their fans in Hong Kong by live video streaming a performance Tuesday, after their frontman, a pro-Taiwan independence lawmaker, was denied a work visa to perform in the special administrative region. 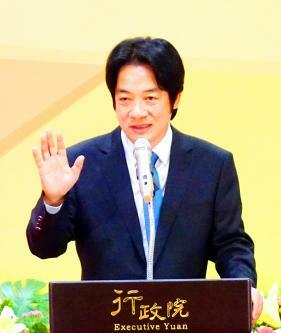 The National Development Council yesterday proposed eight major policies to Premier William Lai (賴清德) in a plan outlining how to turn Taiwan into a Chinese-English bilingual country by the year 2030 to embrace global competition. The plan, which the council delivered to the premier in a report, would devise key performance indicators for evaluating the effectiveness of the policies in a year. Colleagues interested in Taiwanese literature may wish to know that the renowned stalwart of Taiwan literary scholarship Lin Ruiming 林瑞明 also known by his penname Lin Fan 林梵 passed away on Monday. Lin was probably best known for being the founding director of the National Museum of Taiwan Literature (國立台灣文學館), which he headed up in its early planning days of 2003-2005. Lin was ever present at the Museum. His other major achievement was his work on the doyen of early Taiwan literature, Lai He 賴和, whose complete works he edited. He also compiled a collection of Lai He’s original manuscripts. Lin Ruiming wrote poetry under his penname Lin Fan. He studied history at National Chenggong University 國立成功大學 and received an MA in history from National Taiwan University. He lived most of his life in his hometown of Tainan, where the Museum is located. 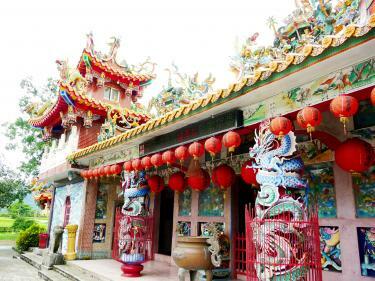 He had an effervescent personality and a convivial way of welcoming people to Taiwan. For years, he battled kidney disease and was regularly tethered to dialysis, but he never spoke of it and he never let it slow him down. He championed the culture of Taiwan as few others have and his presence will be missed but not forgotten. On Saturday, the people of Taiwan headed to the polls to cast ballots for nearly 11,000 officials, in local elections — think mid-terms — and essentially repainted the map of Taiwan blue from green, or from ruling party Democratic Progressive Party (民進黨 mínjìndǎng) broadly pro-independence to the more China-friendly Nationalist, or Kuomindang (國民黨 guómíndǎng). Amid reports of Chinese “meddling” in upcoming local elections on November 24, one advisor close to Taiwan President Tsai Ing-wen has described the situation as far more severe than is generally realized. Writing from Washington DC, Antonio Chiang, vice-president of the General Association of Chinese Culture and a presidential advisor, told Asia Times: “I am here in DC to talk about China’s influence on our elections.